In a prime location in beautiful Clyde Street on 1.01 landscaped hectares with mature trees, established gardens and sweeping lawns, this quality home offers amazing space for comfortable family living, relaxing and entertaining and includes a spacious flat, interconnecting with the home, for extended family or guests. 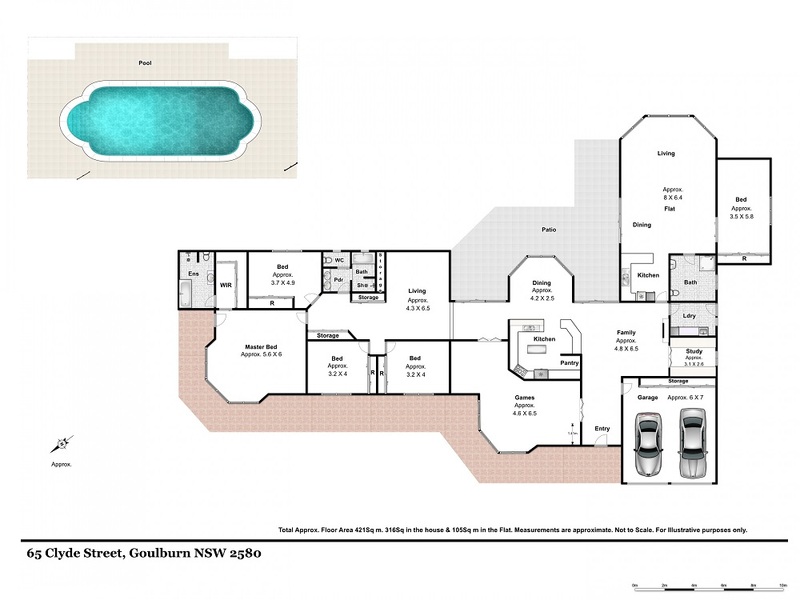 A total of five bedrooms, plus a study, and three bathrooms. Five living areas to cater for any variety of family needs. Quality modern kitchen open to family and dining rooms. Solar heated salt water swimming pool. Efficient heating and cooling with a 10kw solar system, reverse cycle air plus gas heating and underfloor heating. An extremely private home, full of natural light and enjoying wonderful views.